What a simple way to inherit a blessing. Let's make sure that we don't fall into the trap of Peter during the night of Jesus' arrest — strong when in the presence of friends and weak in the presence of those who are hostile. Let's be ready to share our faith with friends with "gentleness and respect" (1 Pet. 3:15). Let's be willing to be openly identified as one of Jesus' disciples and show it by our words and deeds. Let's confess that Jesus is our Lord by our lives and our lips for all the world to see. 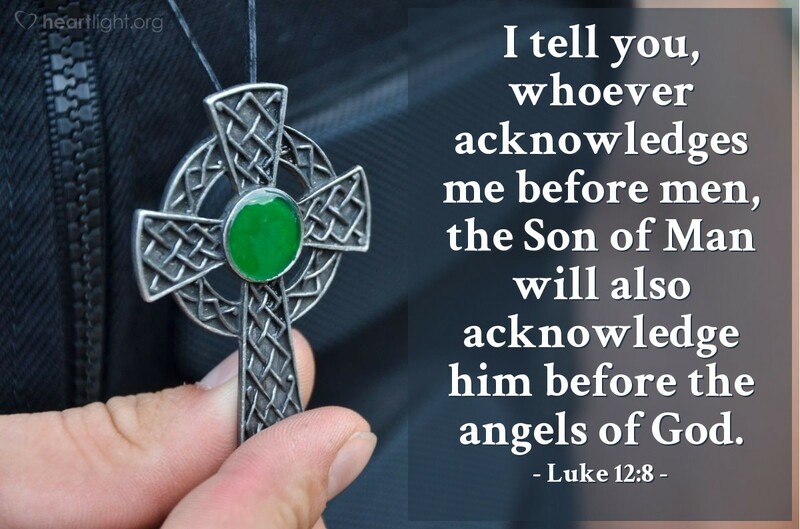 Dear God, give me courage and wisdom to appropriately acknowledge Jesus as Lord before my friends, co-workers, and colleagues in a way that honors Christ and that is respectful of them. In Jesus' name I pray. Amen.